The House still doesn’t have a 21-member majority in place when it’s set to gavel in today at 1 p.m. There was talk that the self-described “Majority” Republicans were going to hold a press conference on Monday afternoon, but the meeting was postponed. It, of course, sparked talk that maybe they’d figured something out to bring their 20-member “majority” to a 21-member majority, but it sounds like it was more likely to lay out their case for confirming House District 13 nominee Sharon Jackson. There’s been debate about whether she can be seated without a speaker or a temporary speaker (the Legislature’s uniform rules are silent on the issue, but the rules do suggest it’s members with confirmed elections who play a role in electing the presiding officer). Either way, it sounds like Lt. Gov. Kevin Meyer is reluctant to do anything beyond the swearing in of legislators before handing over the gavel. Without a majority in place, it’ll mean legislative aides will be without jobs starting tomorrow. We’ve heard there could be some maneuvers to keep staff employed while the House continues to work out its organization. It’d require agreement between both sides (specifically their outgoing/proposed Rules chairs), which might be a big ask, but going without staff is a bigger ask. Stay tuned. The Legislature’s only official Rules Committee chair is Sen. John Coghill, R-North Pole, and he’s already approved changes for how the press can cover floor sessions (which former Gavel Alaska producer Jeremy Hsieh points out usually requires the approval of both Rules chairs). Namely, Coghill’s banned the use of any “smart devices” (such as cellphones) on the floor by reporters. These rules are already in place for legislators, but are routinely ignored. It’s comes off as aggressive posturing against the media, especially because media use of cellphones hasn’t caused much of a problem during my time covering sessions in-person (though I once had to bring donuts to the House when an alarm went off in my pocket). As former legislative reporter Nat Herz asked, how does this serve the public? At the very least, however, we’ve heard that Coghill has approved press passes for bloggers, which is a first. Legislators will actually be under the gun to get something done by the constitutional definition of “on time” this year with last year’s passage of House Bill 44 (by former Rep. Jason Grenn). In addition to some changes to lobbying, the bill will cut of per diem for legislators if an operating budget hasn’t been passed by day 121 of session, which is the length of the session according to the constitution (and its use of “from”). The statutory length of session is, of course, 90 days. Rep. Matt Claman has proposed a constitutional amendment to set it at 90 days. Just as legislators are set to gavel in, the University of Alaska Anchorage has lost its national accreditation for its education program this week, throwing the future of the program into uncertainty. With the governor pledging to match expenses to revenues (meaning somewhere between $1 billion and $1.6 billion in cuts, depending on who you ask), it comes at a terrible time for a university system that’s been hoping for a reversal of years of deep cuts handed down in recent years. Still, maybe the Legislature and the university will finally accomplish their goal of more Alaska-trained teachers staying in Alaska. 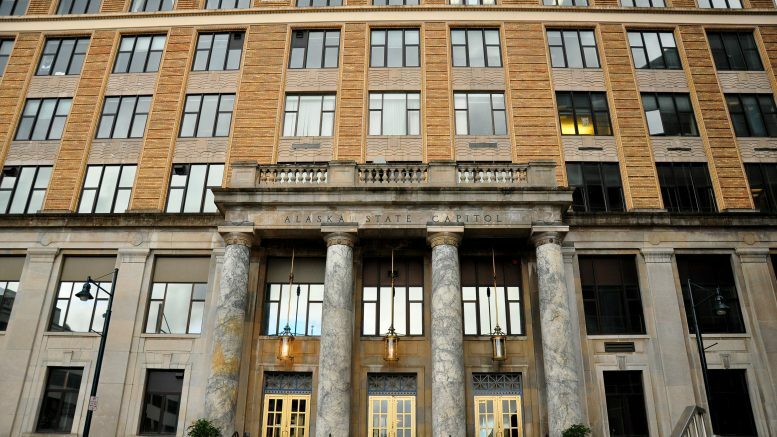 The university will reportedly approach the Board of Education to ask it to waive the requirement for national accreditation for graduates of UAA to teach in Alaska. Be the first to comment on "AKLEG Recap Day 0: Starting off on the wrong foot"